When there’s no room for advancement within your department, do you automatically assume you’ll have to look outside the company to take the next step toward your career goals? If you do, you may be missing some great opportunities. Look around the other departments for vacant positions that would complement or expand your skill set. For example, if you’re a customer service rep, a transfer to the sales department would be a natural fit, especially since you’re already familiar with the company’s products or services that you’d be selling. This is why being an “insider” is likely to give you an advantage over outside candidates when hiring decisions are made. You already know the company, and the company knows you. You just need to make sure the right people in the company know you — and appreciate your potential to succeed in roles they may not have thought of. Here are some strategies to start implementing right now, so you’ll be at the top of their short list when an interesting position opens up. Build your internal network. You want as many co-workers as possible to have your name come to mind when they hear of an opportunity; and you want to be the first one they tell about it. ID key influential people. Does your boss’s boss supervise other departments in addition to yours? Cultivate a relationship with him, and show him what you have to offer beyond your current job description. Develop a good rapport between your department and others. Take the initiative to create bridges and implement team building practices. This will have the added benefit of marking you out as management material. Add value to conversations, especially those you have with the key influencers who could further your cause. Share work-relevant news, information and ideas. 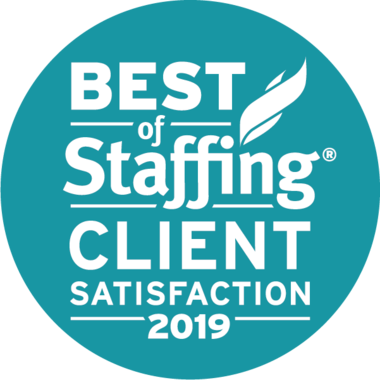 We at Integrity Staffing Solutions have seen many successful inter-department moves, as well as temporary assignments that led to permanent employment. When an opportunity comes knocking, give it serious consideration even if it’s not exactly in the career path you had envisioned. You just might exceed your own expectations.